For more than 30 years, Zacks has been a premier provider of analyst data. We work with you to help you get a clear picture of analyst thought, both about your company and your peers. Free yourself of the burden of data aggregation, and spend time where it counts most: Staying out in front of analyst opinion and building your critical investor relationships. Our core service is the timely delivery of our best-in-class, comprehensive custom line item and broker detailed consensus estimate models. You’ll find every vital data point and line item on your company and your peers: all financial statements, key revenue and expense drivers, non-financial metrics, geographic breakdowns and more. Always be aware of prevailing opinion, if (and why) there are outliers, and understand where each analyst fits within your consensus. Our consensus models are aggregated by a team of sector-specific analysts who ensure estimates are made on an “apples to apples” basis – you’ll be alerted to any discrepancies in analyst methodologies and calculations. Choose the data you want, delivered on your schedule, customized to highlight just the information you need to support your IR functions. Gather all the data you need in one place rather than scouring dozens of different outlets. Communicate efficiently with an experienced team of analysts and a dedicated account manager who knows you and your company. Access all our expertise and data in one place through our web site, so you can work quickly and effectively. Use only the services you need to cover gaps in your IR function, or get a turnkey solution that fulfills all your IR needs. 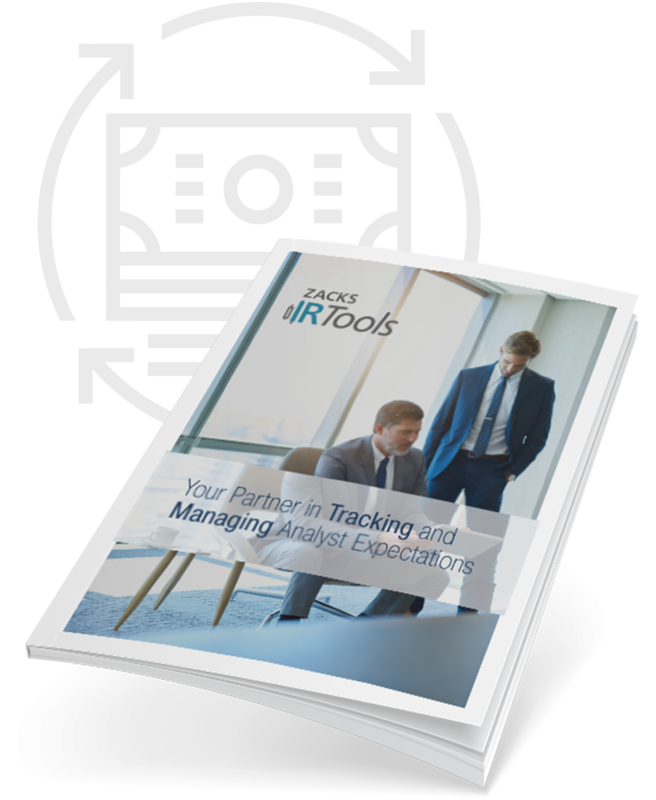 Download our comprehensive overview guide and see all the ways you can save time, money and effort with Zacks IR Tools. Enter your email address below and we will send the guide directly to your inbox.